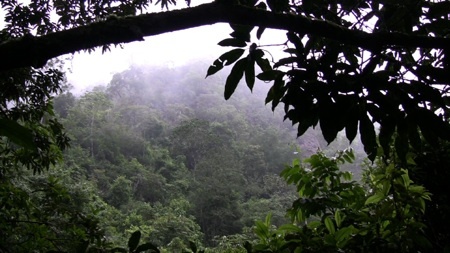 GreenWood was attracted to Honduras in 1993 in support of that country’s pioneering efforts to independently certify portions of its hardwood forest (bosque latifoliado). At the time, the international forest certification movement was in its infancy and, unfortunately, many of these early initiatives proved difficult to sustain. GreenWood continues to pursue the consolidation and expansion of FSC-certification in the country, as warranted by the market and conditions on the ground. But in the past few years we have developed our own innovative social forest management plan, which focuses on secondary forests (guamiles) rather than primary (old-growth) forests. There are few models for the management—much less, the certification—of secondary forests in Latin America, because they have been widely ignored or devalued in the general rush to exploit or preserve the rapidly diminishing primary forests. The GreenWood approach to forest management is community based and participatory in nature. What’s more, our agro-forestry orientation is fundamentally practical, recognizing the essential logic of blending food, firewood and artisanal production in poor communities in the developing world. In El Carbón, Olancho, where GreenWood began training chairmakers 15 years ago, we are implementing a guamil management plan for 64 hectares (158 acres) of secondary forests. These forests are managed on a rotating basis for the production of local crops, firewood, medicinal plants and to support a variety of craft enterprises. 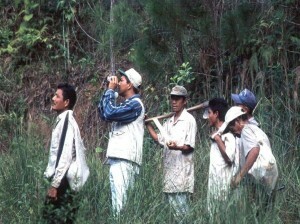 In 2002 GreenWood’s guamil management plan was approved by AFE-COHDEFOR, the governing forestry authority of Honduras. This represents the first time that COHDEFOR has approved a management plan for secondary forests in Honduras. GreenWood has introducted this model in at least two other communities, which are at various stages in the planning and implementation process. It is our goal to increase artisanal production and to strengthen the linkages between artisanal wood use and the procurement of firewood and other nontimber forest products from managed secondary forests. “Western” management based on computer data, scientific knowledge, and technical skills. Traditional management based on local knowledge. Spatial separation between agriculture and forest management Integration between agriculture and forest management. Pressure to achieve measurable results, perhaps due to legal obligations or project timetables. “Learning by doing” process, building local capacity. Strong external support, often short-term. Lower profile, but possibly longer-term external assistance. Highly dependent on external assistance. Less dependent on external support.